There has been a baker on the corner on Church Lane and Church Street for well over 100 years. An old thatched building was there until the early 1900’s but it burnt down. The current building was built around 1910 for Mr. Sayers Oliver who ran it with his wife Emily. The sign over the window read “S. Oliver, Corn Chandler”. His son Frank and wife Joan ran the business in their turn and it remained “Oliver’s bakery throughout the 20th century. 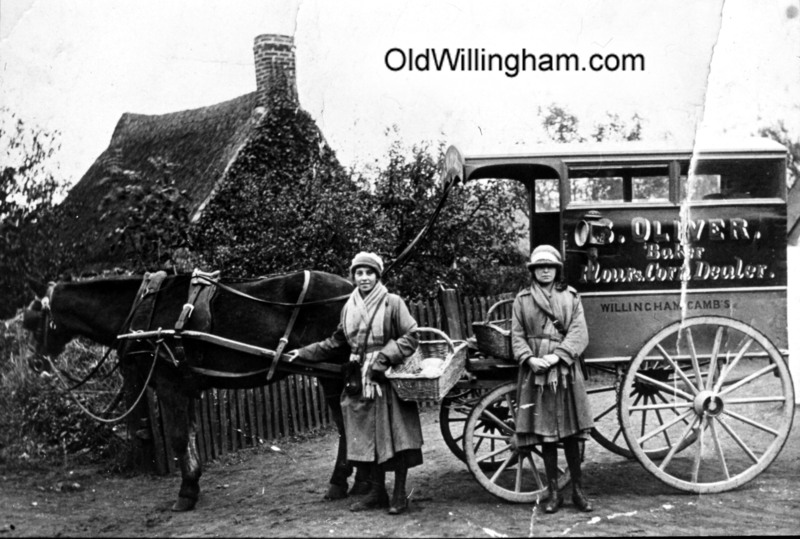 This picture shows the two Miss Olivers with their father’s bakery van, probably in the 1930’s. I’m not sure where this photo is taken so if you recognise the building behind do let me know.